It angers me that Google, Facebook and Youtube, who possess effective monpolies over their space should use that power to choke independent voices supporting a political meme they simply do not like. Perhaps the government should declare them to be a media utility and perhaps disallow their sale of advertising. In fact why should they own the perpetual right to sell advertising anyway? Newspapers no longer own the classifieds. How about we simply create an advertising meme for all customers in the form of John Doe$$$ who immediately auto posts to his account on these sites and shares with his friends. I actually know how to make this into the central channel for all advertising without paying a dime to Google, Facebook and Youtube. 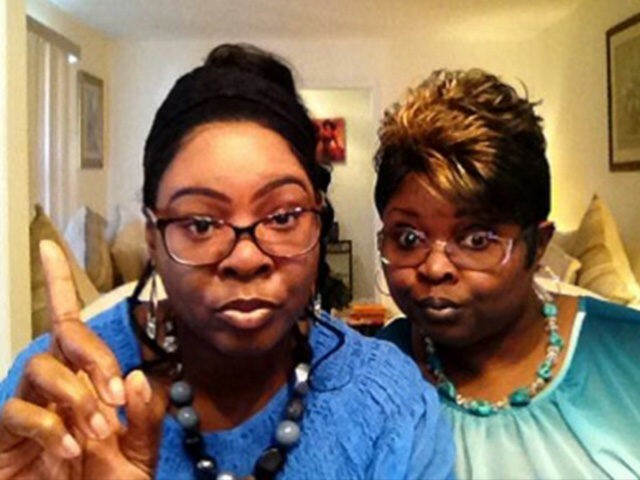 Diamond and Silk are good fun and no more. I think i watched them once and they are actually funny. Cutting that free act off from money is petty and insulting and enough to make many users angry. These spoiled owners need to wake up and stop trying to jump in front of a political train(wreck) or otherwise because there is no way a commercial enterprise can win that game. Recall how Trump's drawing power served to smash up a number of top unassailable brands and precipitated the abrupt departure of their bosses. Then recall it had nothing to do with him at all and become very scared. He is the bowsprit on a massive reformation of the American polity that is happening regardless. (Natural News) Controversy has erupted across social media after Twitter suspended the account of a user named “Nicole Mincey” who President Trump re-tweeted on August 5, thanking her for tweeting words of adulation about his presidency. Trump supporters claim that the removal of Mincey’s account by Twitter is a blatant act of censorship, which would seem to follow the trend of Google, Facebook and many others that have done the same thing over the past year. And now, YouTube has just demonetized 95% of the videos of “Diamond and Silk,”two African-American Trump supporters who gained fame in the 2016 election for their entertaining and energetic videos in support of Donald Trump. The message from the alt-left “techno tyrants” is very clear: Any who support Trump will be discriminated against, censored and silenced into oblivion. President Trump’s re-tweet of the Mincey tweet was already showing an “Account suspended” message just hours after it was originally published on Saturday to Mincey’s Twitter account, which bears the name “ProTrump45” for an online Donald Trump merchandise store that supposedly operates out of New Jersey. Mincey described herself as a black, conservative woman who used to be a liberal. Her Twitter account, both supporters and critics alike seem to agree, was seized upon by the president to show that his base is comprised of people from both sexes and of many different races. It was a simple gesture that turned into a huge ordeal after Mincey’s account disappeared, with one side claiming censorship and the other alleging that the account wasn’t even real, and that it was operating as a “bot.” Even mainstream media outlets were quick to deny this bot claim, however, suggesting that a woman by the name of Nicole “Mincy” – without the e – is, in fact, a real person and a college student from New Jersey whose identity was stolen (or who may have been working for a pro-Trump social media outfit). The “Nicole Mincey” ordeal is suspicious, especially considering that the address apparently linked to her social media accounts, which have since disappeared, originates at the mail room of Saint Peter’s University, a Jesuit college in Jersey City where the real “Nicole Mincy” attends classes. At the same time, Twitter’s removal of the ProTrump45 account that the president retweeted is seen by some, including Prison Planet‘s Paul Joseph Watson, as constituting evidence of social media’s bias against President Trump. Watson tweeted on August 7. “Just a coincidence,” he sarcastically added, emphasizing his frustration with this embarrassment to the president. “Why are my tweets about jobs and the economy being censored? #Interesting,” he wrote. And yet, just a few months later, Facebook would issue a new set of guidelines about how to handle the rampant threat of “fake news,” i.e. any news that portrayed Hillary Clinton in a negative light, or Donald Trump in a positive light. Joining the chorus of anti-Trump posturing, Facebook would claim that the president conspired with Russia to sway the 2016 election, citing fake news content on its platform as being at least partially responsible. Google even joined in on the fun, at one point blacklisting roughly 140,000 pages of Natural News content from its search platform. The claim once again was that Natural News was part of a conspiracy to spread fake news to the public about Donald Trump, simply because it doesn’t buy into the unfounded Trump-Russia narrative. Even a high school student from New Jersey bore the brunt of censorship when someone from his school airbrushed his yearbook photo to remove an image of a Trump campaign logo from his shirt. Grant Berardo didn’t violate any of the rules at Wall Township High School concerning his appearance in the yearbook photo, and yet someone with editing authority decided to blur it out entirely. Ever since he first announced that he would be running for president, Donald Trump has faced intense criticism, bullying and censorship – as have many of his supporters. And major online platforms like Twitter, Facebook and Google have been willing accomplices, along with the mainstream media and their many talking-heads, in keeping this persecution running full steam, with no end in sight.